Mobile Development | RAM Designs, LLC. When a website or internet-based application is up for design, re-design, or upgrade, mobile readiness is a high-priority, critical requirement. In today's world, the sheer number of internet-enabled devices is almost overwhelming. There are smart phones, computers, notebooks, netbooks, tablets, mini-tablets, and many devices that fall somewhere in between. The growth rate of mobile browsing is unprecedented. In discussions pertaining to development, terms such as mobile friendly, mobile optimized, and responsive design are abundant. We'd like to help clarify some of the differences. A newer form of design, responsive design, is a design method in which the website is created so that it is completely flexible regardless of what device it is viewed on. 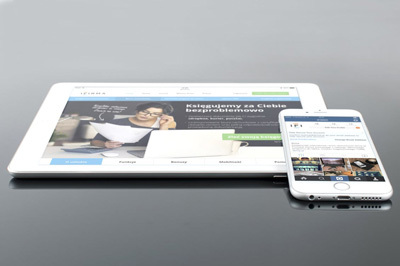 Rather than having the site do a check to determine what device it is being viewed on, it will automatically adjust itself to take full advantage of the screen size of whatever it is being viewed on. The site basically handles its own reformatting and optimizations. Though this form of development can be the most costly, it is the wisest investment. 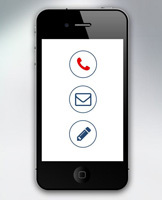 Contact us today for a solution that is mobile ready. Simplified, "thumb-friendly" navigation with larger touchpoints. Optimized graphics that are smaller in size and minimalistic as to speed up loading time. A link to the full desktop version of the site. Text-based email addresses, street addresses, and phone numbers appear linked and can trigger a call, email message, or directions from your device. Slideshows and image carousels function without Adobe Flash support. Images are smaller and faster loading. Menus are legible on smaller devices and functional.